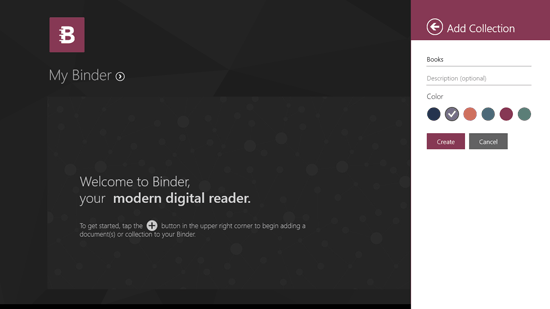 Binder is a free app for Windows 8 and 8.1 that helps its user read their uploaded documents from their desktop without any problem. 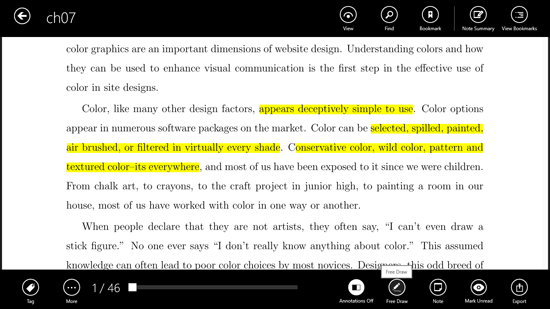 Binder is a great app that is more than a document reader. There is a large scope of things the user can do on the Binder app. Before accessing the Binder app, you need to either sign in with your existing Binder account or create one using the sign up form. After you have logged in to this document reader, you will see an empty dashboard where you will see a large plus button on the top right side of the screen. When you click on this button, a menu opens which states Add Document and Add Collection. Add Document helps you add a document from different supported methods such as Dropbox, OneDrive, Google Drive, My Documents, Photos and More. If you have a file saved on your computer, then you can choose More otherwise select the relevant method of adding file. 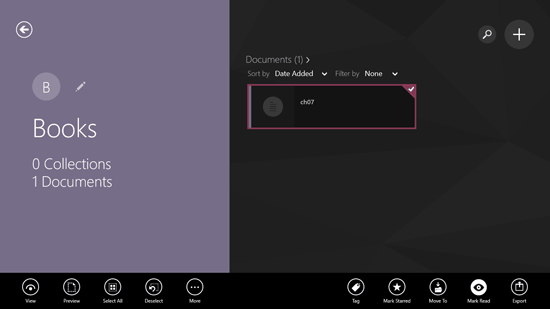 Add Collection creates a new collection wherein you can different documents. Each collection can have different name and different color for it to differentiate it from other collections. Binder syncs your documents to all your devices, whether you have Binder on your Android or iOs device the documents, annotations, modifications will be applied seamlessly across all the devices. Binder works in online as well as offline mode, so you need not worry about the internet connections. For each document there are different options available when you right click on it. These options include view, preview, select all, deselect, more, tag, mark starred, move to, mark read and export. The document opens in full screen mode which helps you read the document without unwanted interruptions. In the full screen mode, the options for the document change. Here you can add tag, put annotations on or off, draw freely on the document, note, mark unread, export, toggle across the document. When any text is selected in the document the options appear that include copy, add note, highlight, strikeout and underline.